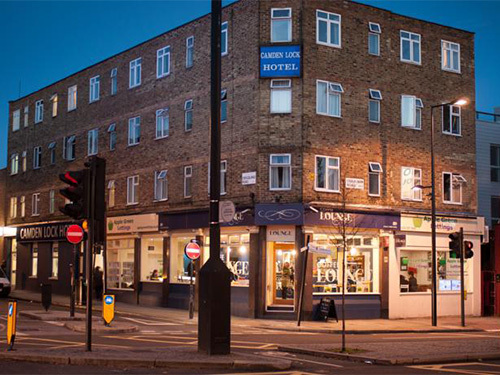 The Camden Lock Hotel is situated in one of the trendiest places: London's Camden Town. The hotel is real value-for-money, quality accommodation in the heart of London! NO LIFT. Madame Tussaud's, Oxford Street and Piccadilly Circus are all very close and by using the bus or the Underground you can reach them in about 15-20 minutes at most. Camden Town has a large international feel to it, with Portuguese, Spanish, Italian and Greek restaurants and bars all within walking distance of the hotel. This multinational culture makes the surrounding area one of the trendiest in London. Children upto and including the age of 1 stay free. You may check in from 12:00 hours onwards. A credit card is required as a guarantee. If the booking is not cancelled outside of the cancellation notice period, your credit card will be charged for the first night of accommodation. All rooms have private facilities, complimentary tea and coffee, colour television and a direct dial telephone. We also have free wake up calls and a 24 hour reception. The nearest underground station is Chalk Farm (on the Northern line, Edgware Branch). We are approximately 1 minute's walk from the station. When you come out of the station turn left and you will be able to see the hotel. The entrance is in Crogsland Road. From the M1 take the North Circular Eastbound A406, then follow the signs towards Swiss Cottage (Finchley Road). 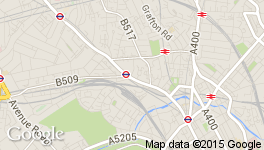 Once at Swiss Cottage, turn left towards Chalk Farm and Camden Town onto Adelaide Road. When you reach the end of the road you come onto Chalk Farm Road. You can see the hotel from there, but as it is on a one-way system, you need to take the 2nd left. At the traffic lights turn left and then left again into Crogsland Road - the hotel is at the end of the road just before the traffic lights, on the left-hand side. Join the M25 clockwise towards Heathrow, then join the M1 and follow the route as above. Join the M25 and travel anti-clockwise, then join the M1 and follow the route from the North. Free parking is available from 6.30pm - 8.30am. On weekends, free parking is available in certain areas - please ask at reception for more information.